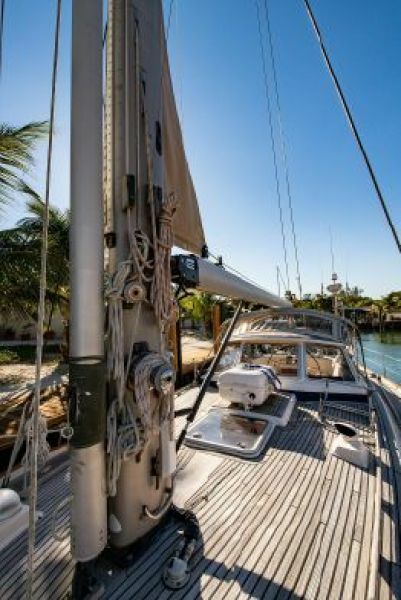 Hydraulic Mainsail and Headsail furling. 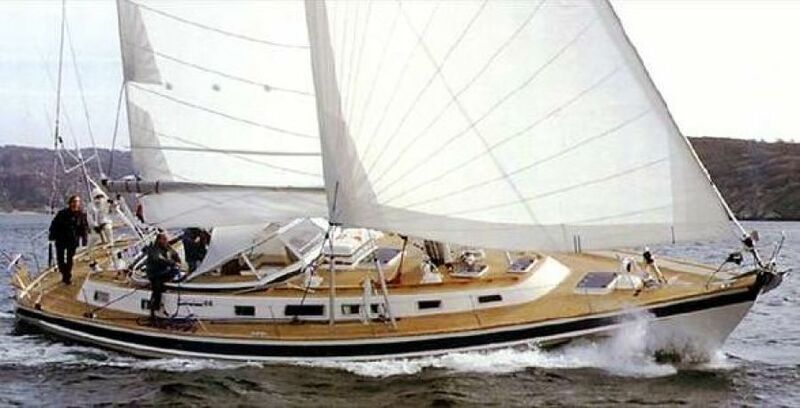 B&G Sailing instruments - boat speed, wind speed, wind direction, magnified wind speed. Dark blue Awlgrip with white boot stripe. 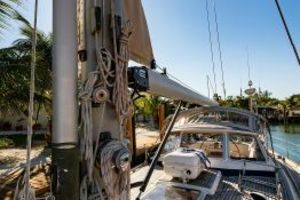 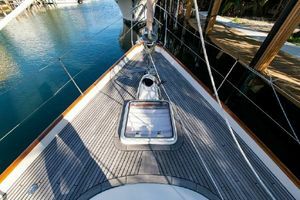 Deck scuppers drain below the waterline to keep hull clean. HR hard dodger with toughened glass windows set in aluminiumframes. 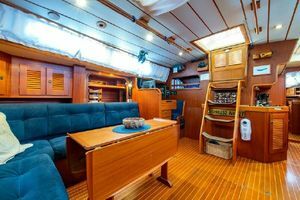 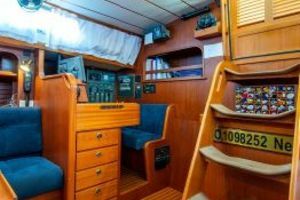 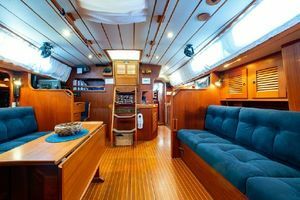 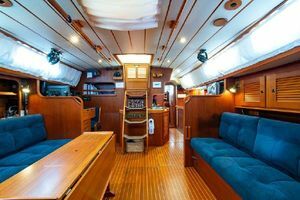 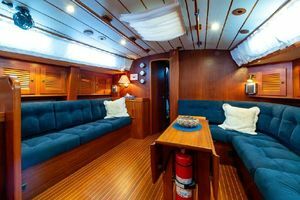 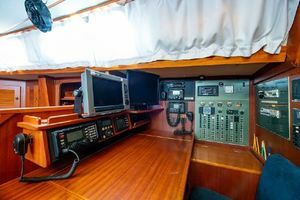 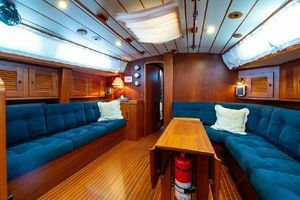 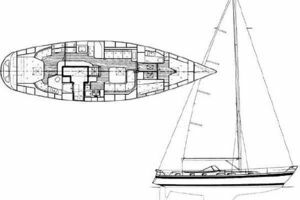 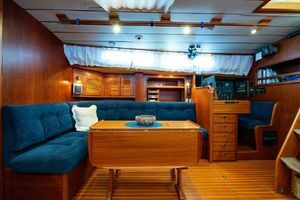 Manufacturer Provided DescriptionThe HR 53 is the flag-ship within the Hallberg-Rassy range and was designed with the cruising connoisseur very much in mind. 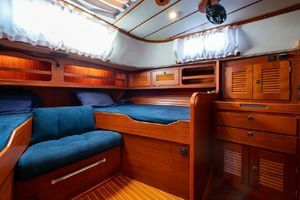 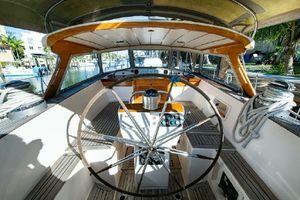 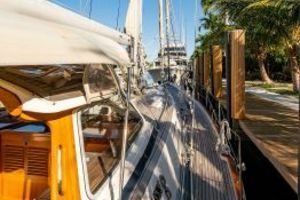 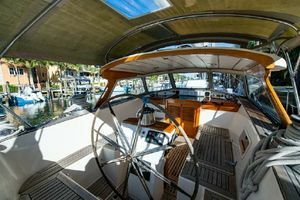 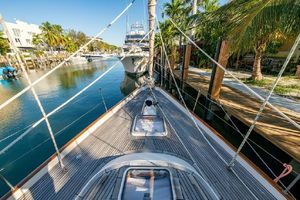 She follows closely the tradition and philosophy behind earlier Hallberg-Rassy designs. 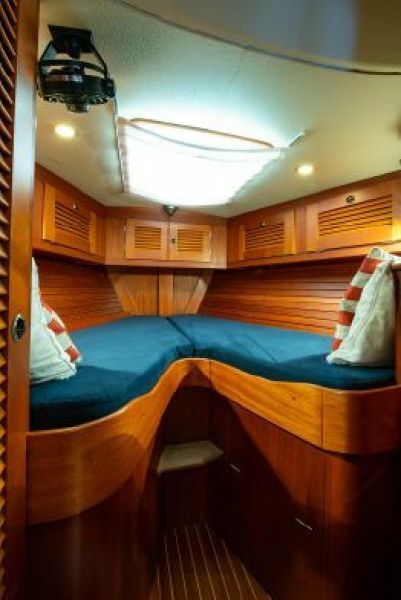 Racing, they say, improves the breed. 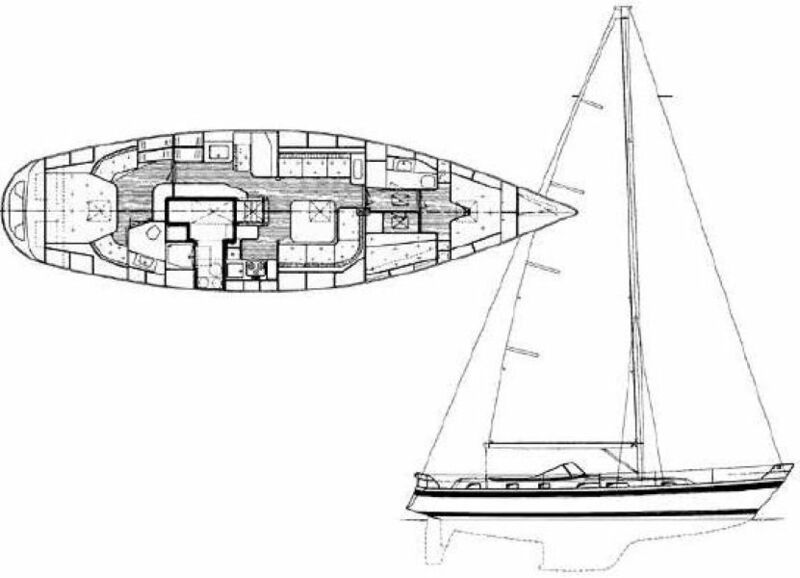 This is certainly the case with the HR 53. 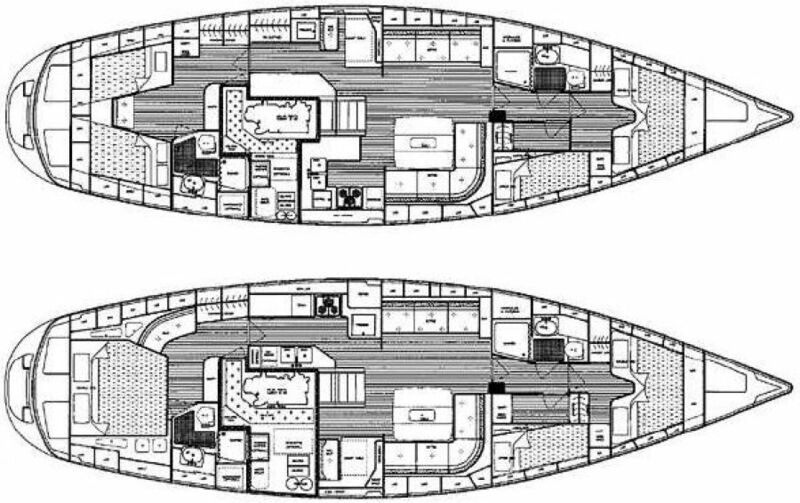 The hull shape was developed following the significant lessons learned from the intense research program carried out for the America's Cup. 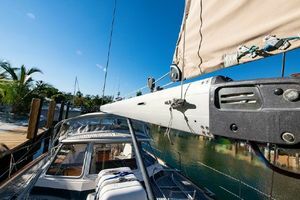 Though not designed with competition in mind, the HR 53 benefits from the testing we carried out on keel and rudder shapes, particularly when sailing upwind. 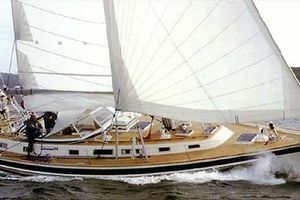 Her moderate displacement is in line with the yacht's strong construction and high level of equipment carried onboard. 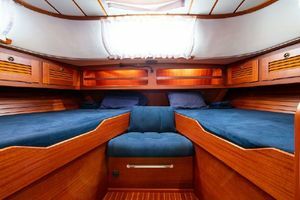 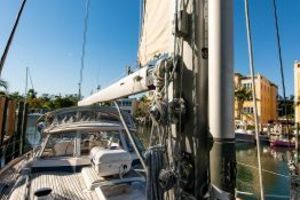 Sail area, too, is generous and, coupled with the excellent stability gained from the 53's special bulb keel, gives the HR 53 excellent performance, even in light winds. 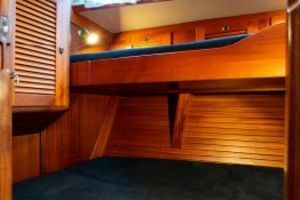 The overhangs are rather generous for her type and contribute to give the yacht an aspect of graceful elegance that will be maintained regardless of the passage of time. 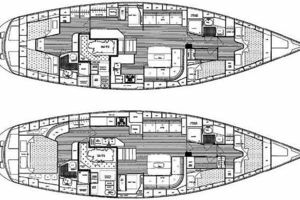 Hull and deck are GRP, built under supervision of Lloyd's Register of Shipping. 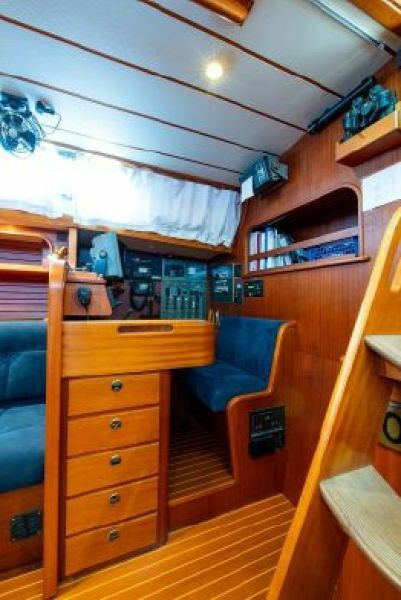 A Lloyd's certificate is supplied with each boat. 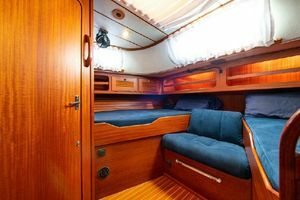 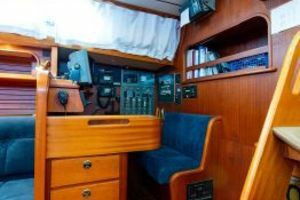 The hull is constructed according to the hand lay-up method with woven rovings and isophthalic polyester and NGA-gelcoat. 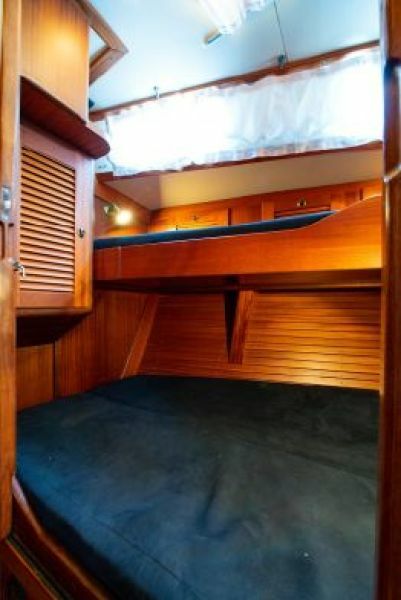 The hull is insulated from the water line up. 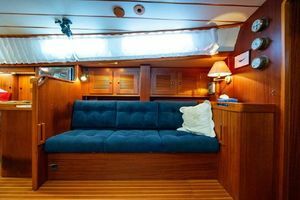 Deck is ivory white GRP-sandwich construction, 35mm thick for strength and insulation. 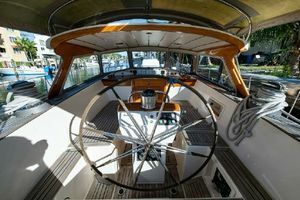 The cockpit is well-protected by a windshield with toughened glass, aluminum frames and a middle panel which opens. 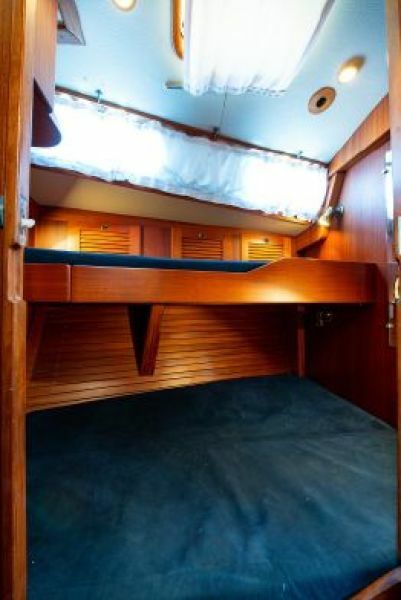 There is a soft top sprayhood. 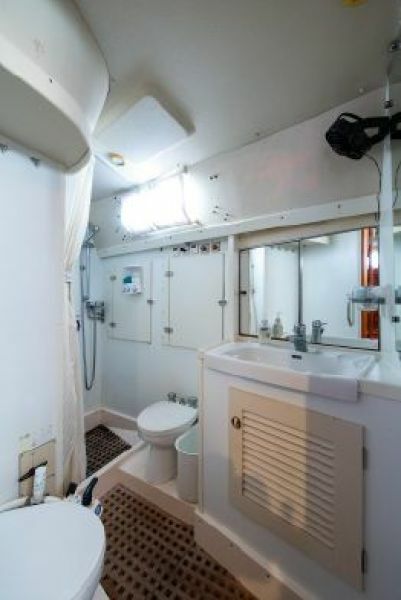 A hard top is available as an option . 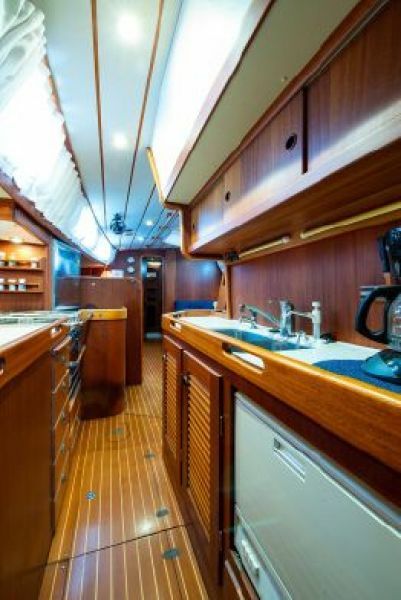 The interior is offered in numerous layouts. 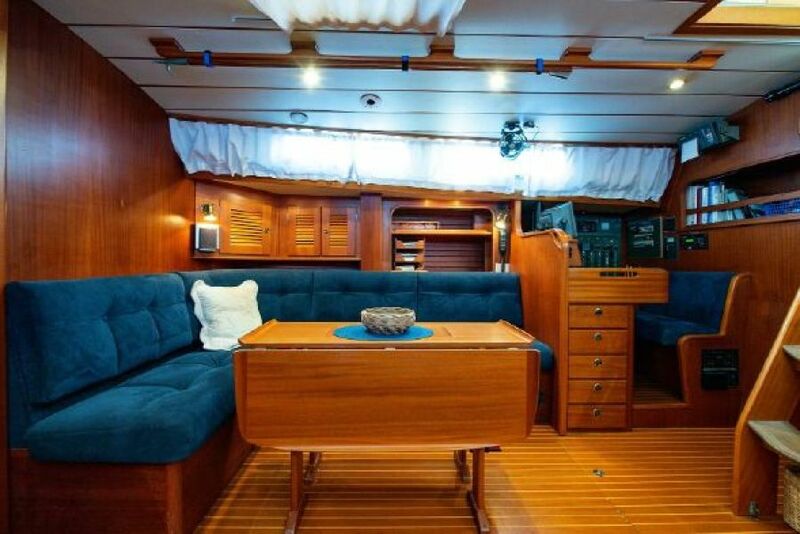 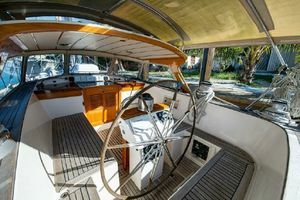 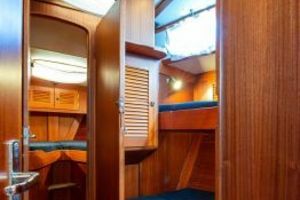 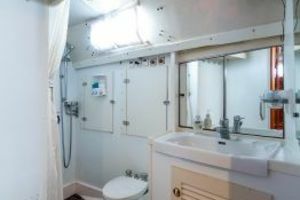 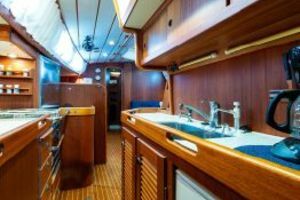 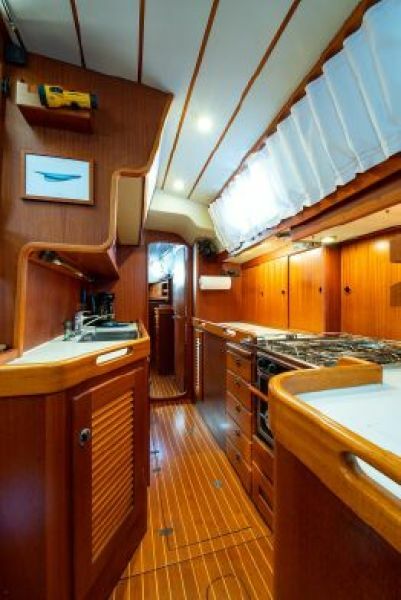 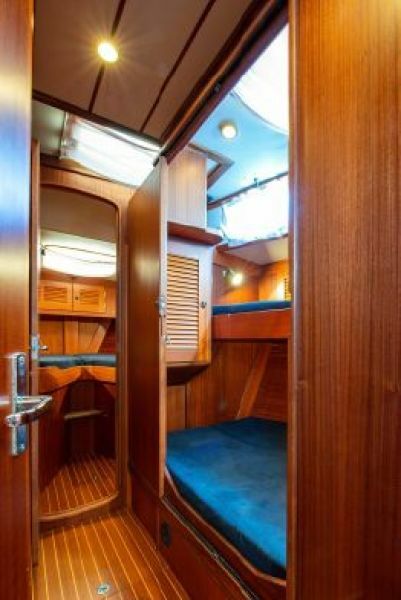 United Yacht Sales New Jersey would love to guide you through a personal showing of this 53' Hallberg-rassy 53 1995. 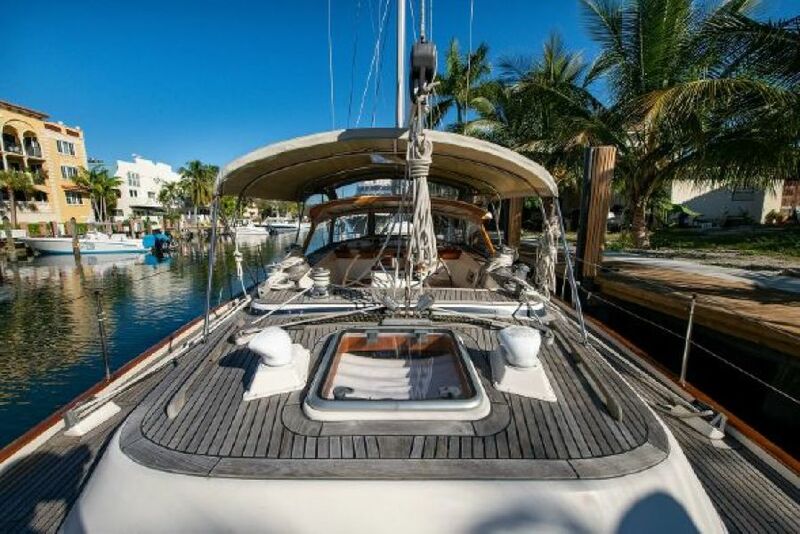 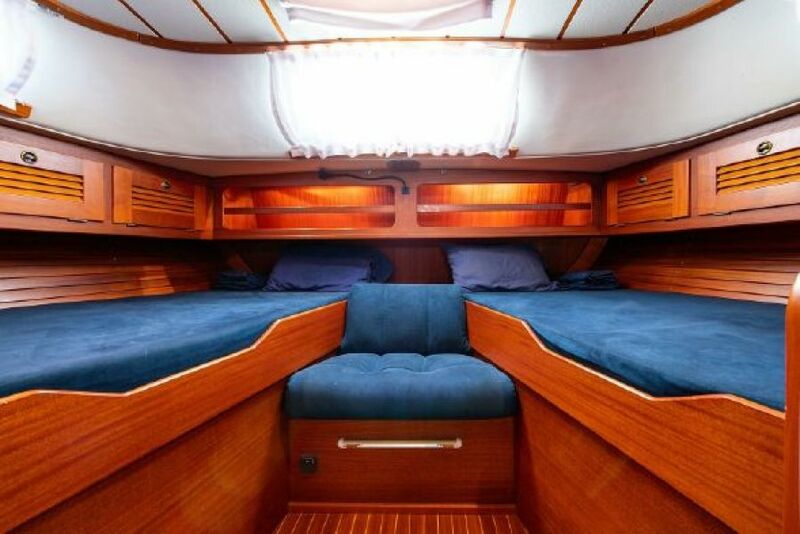 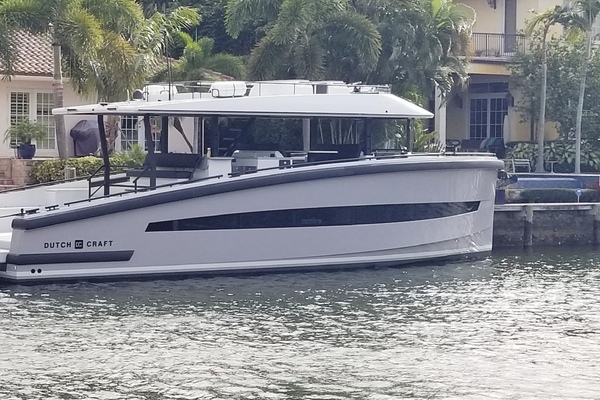 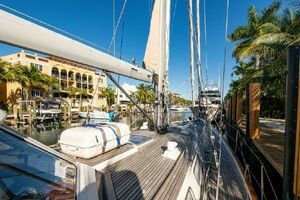 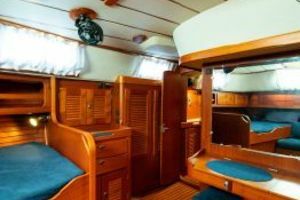 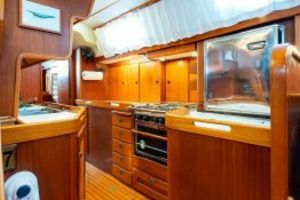 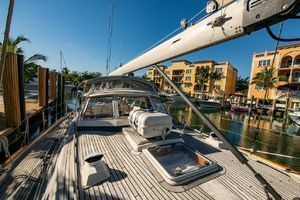 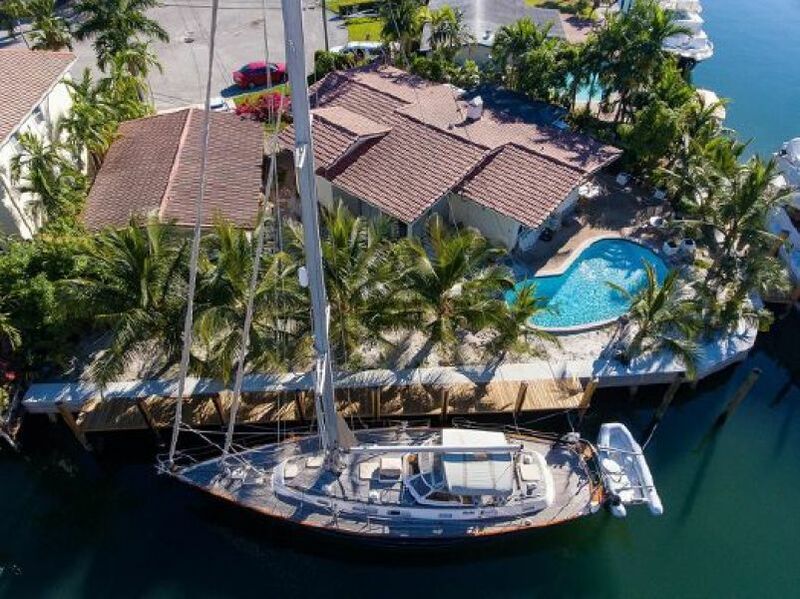 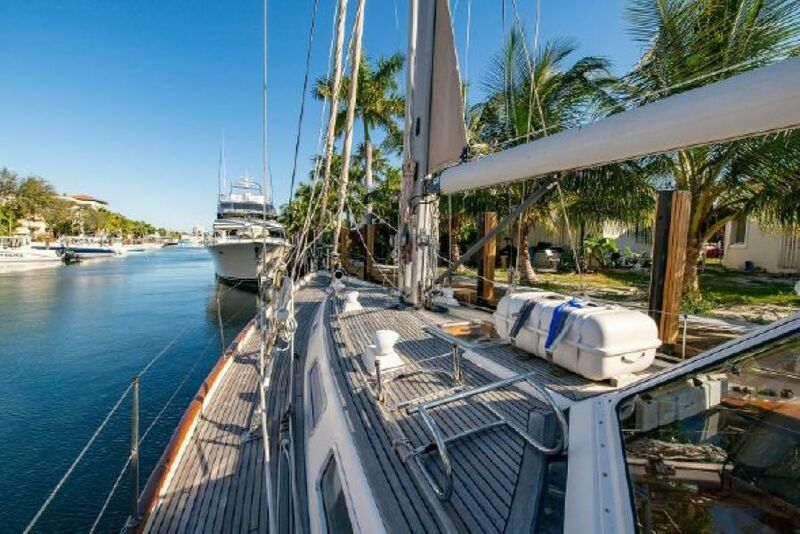 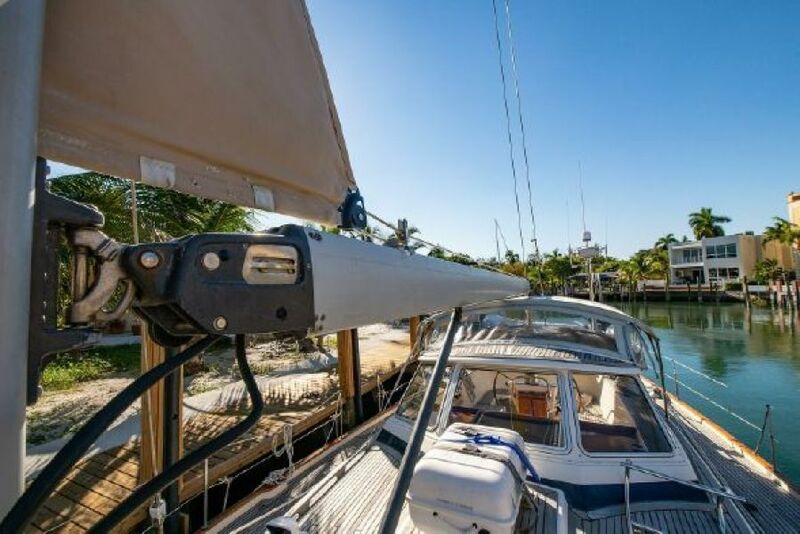 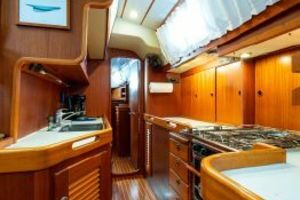 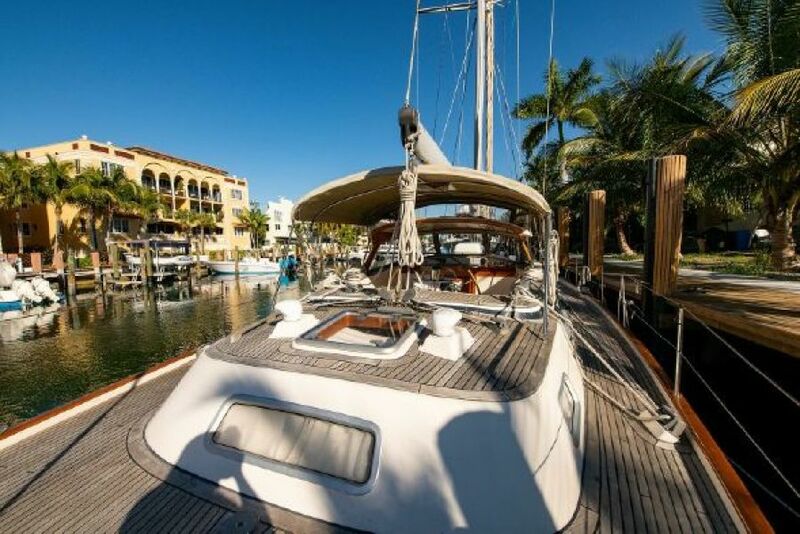 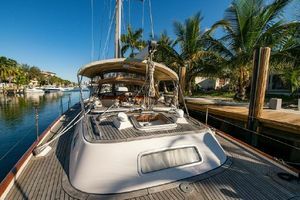 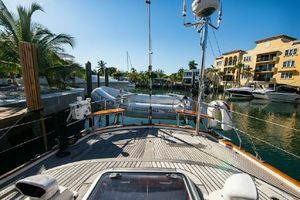 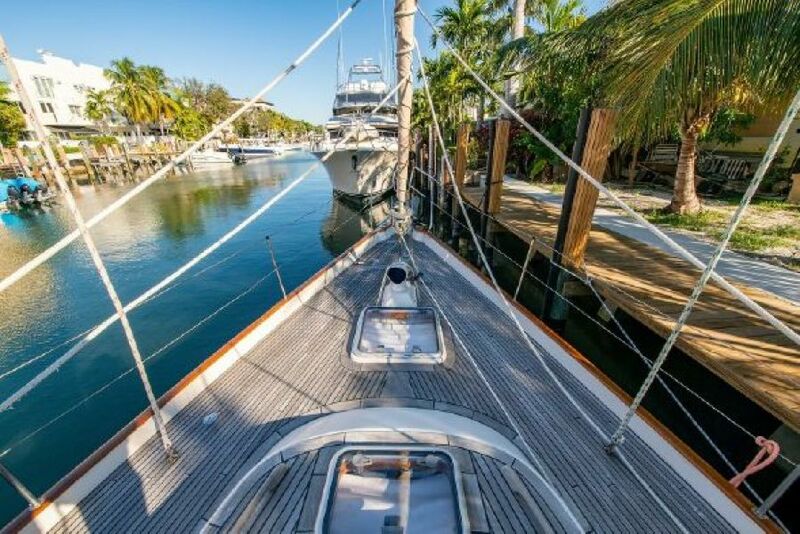 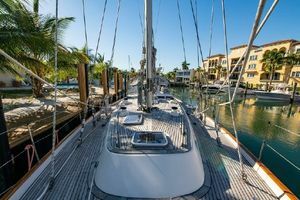 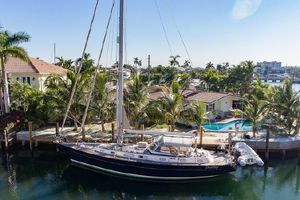 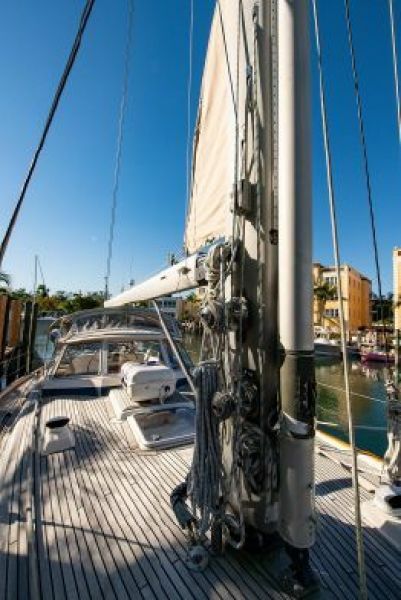 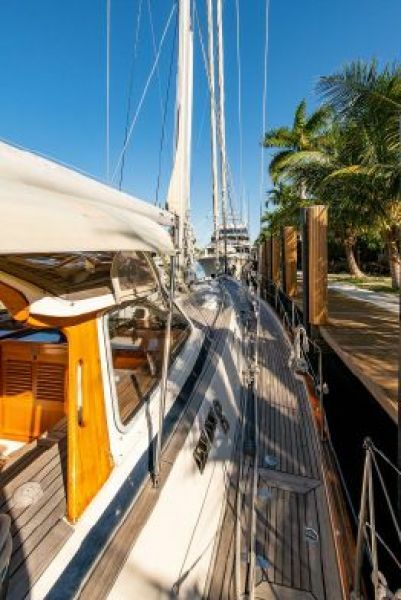 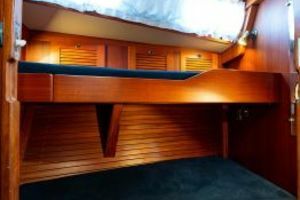 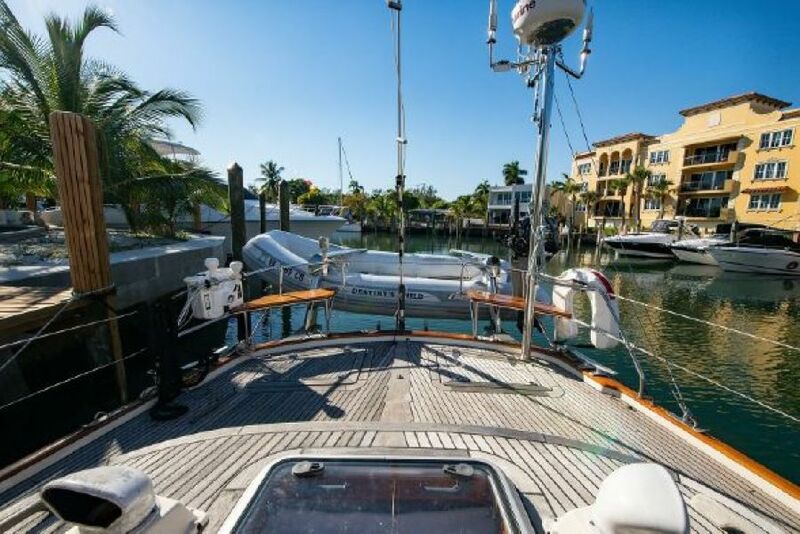 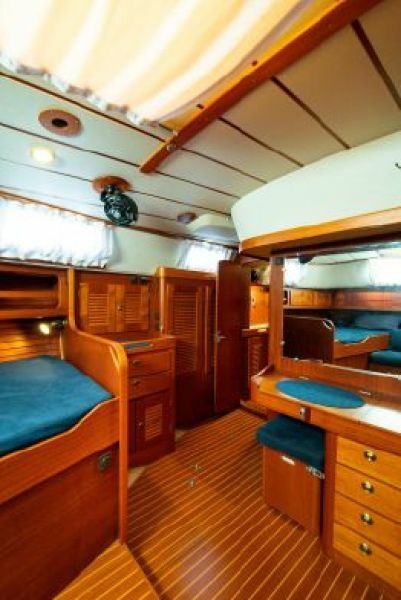 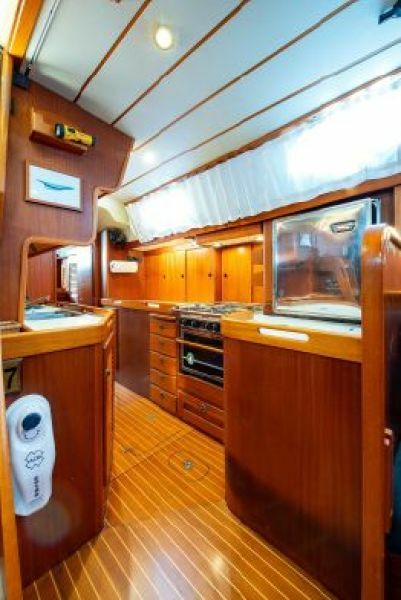 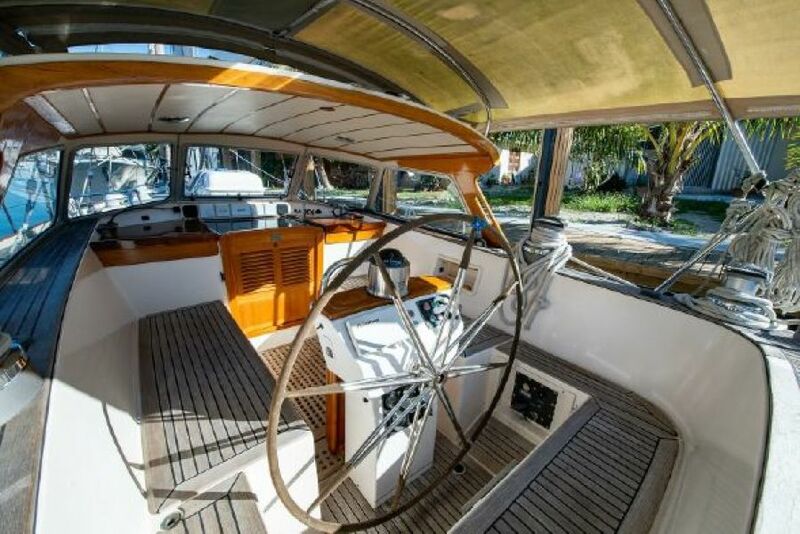 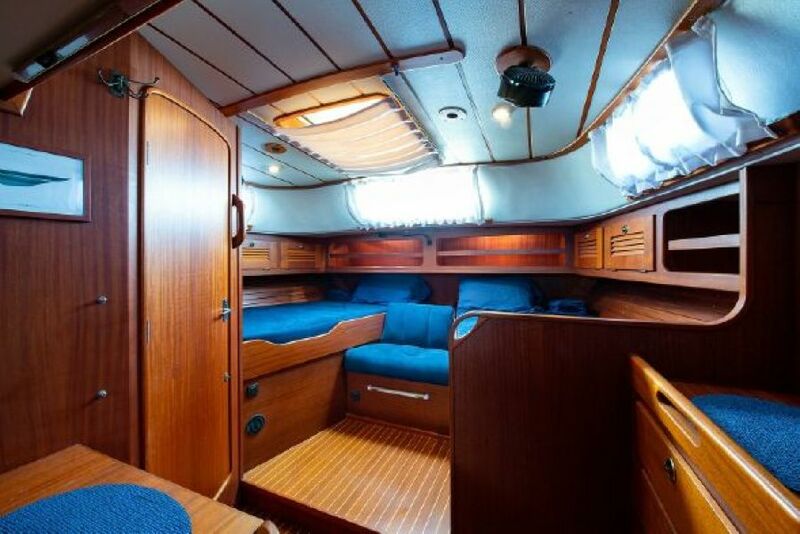 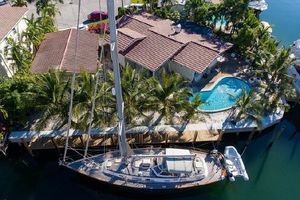 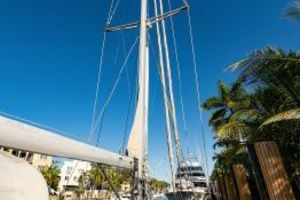 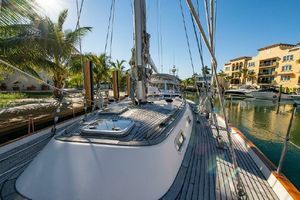 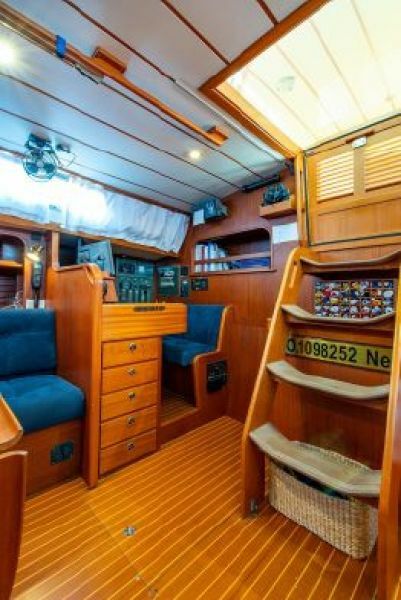 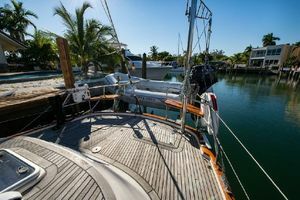 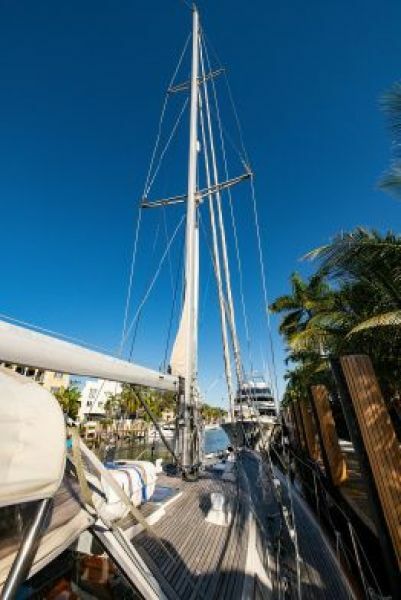 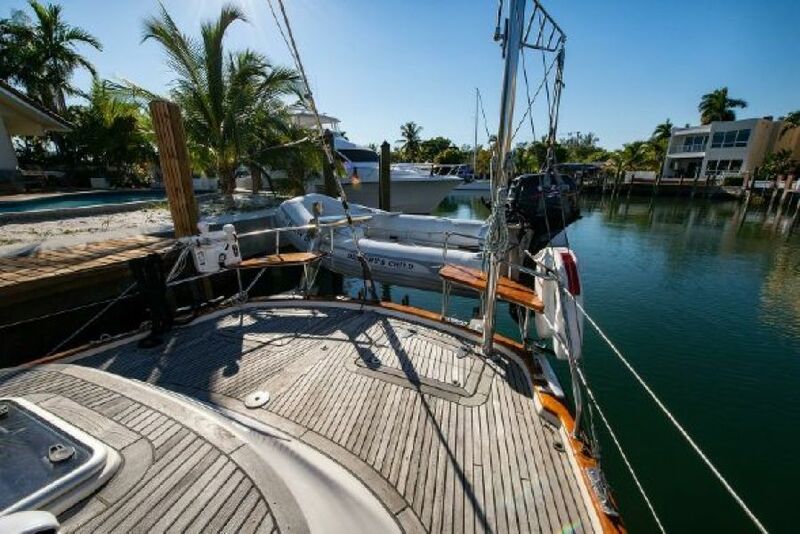 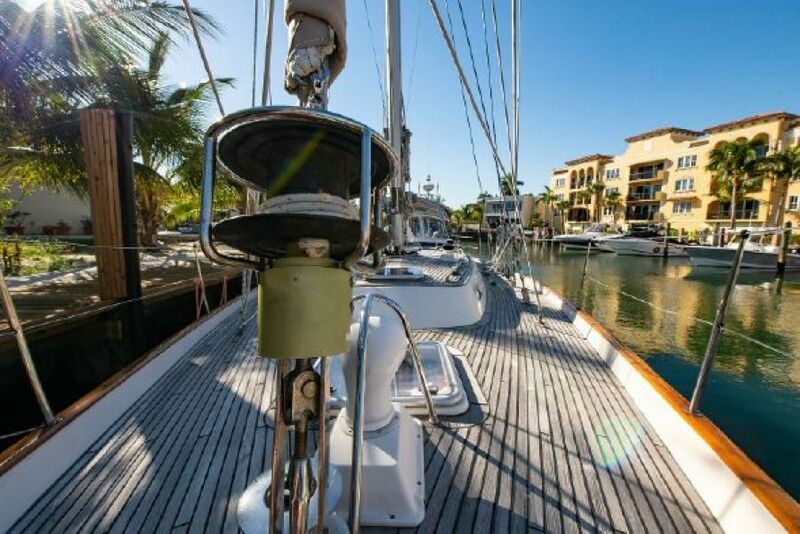 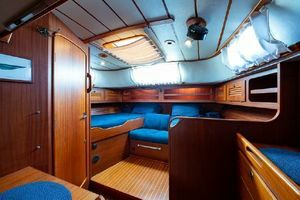 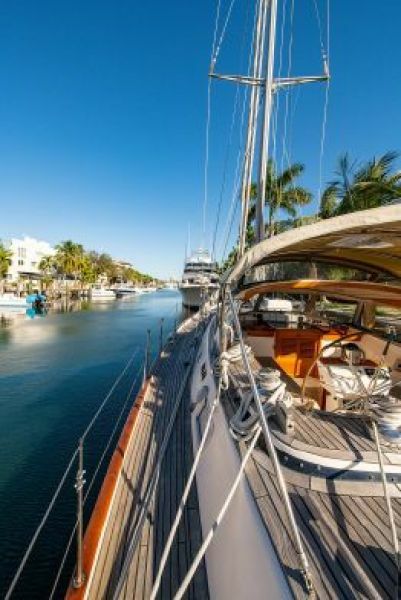 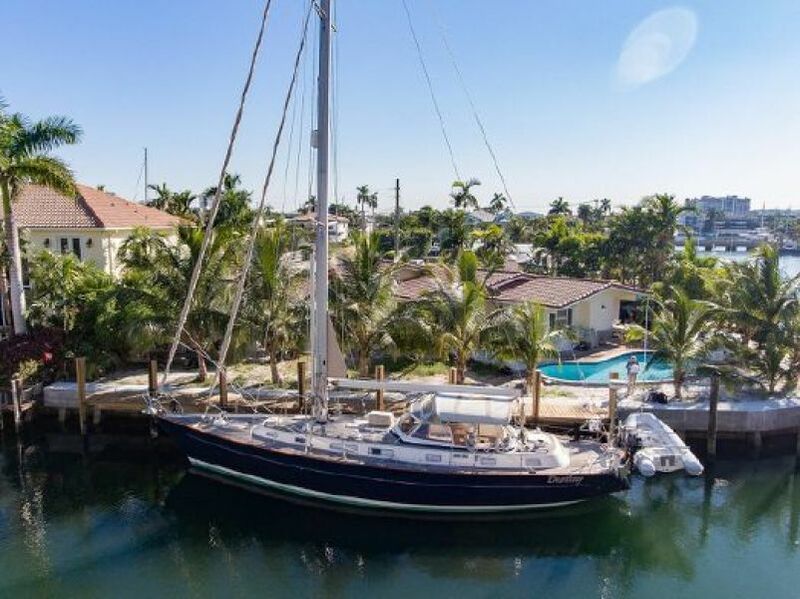 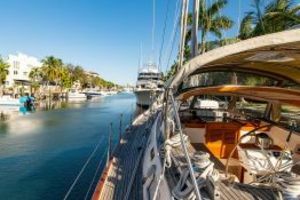 This yacht for sale is located in Ft Lauderdale United States and priced at $399,000. 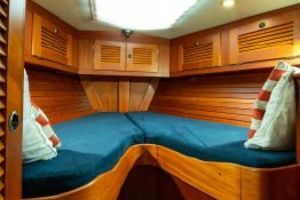 For a showing please contact us by filling out the form on this page and we will get back to you shortly!